The Avocor 65 In. full HD 1080p resolution VTF touch screen includes a built in Intel quad core processor running Windows 10 operating system. This allows you to access, manage and create content, use familiar software packages, browse the Internet and gain access to the Windows store, all in a safe and familiar environment. 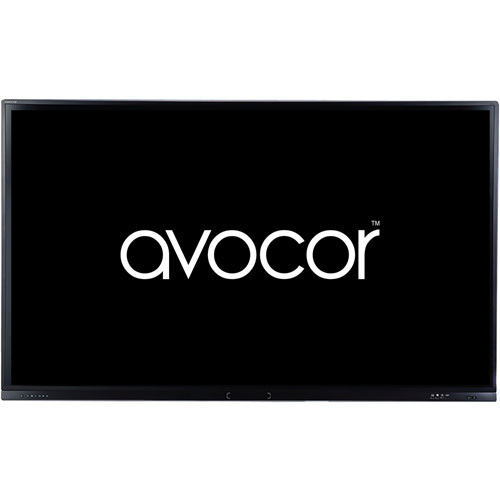 The Avocor VTF series incorporates revolutionary InGlass touch technology that can precisely recognise the size of the object touching it, and can easily differentiate between a pen, finger, eraser or palm. Experience superb performance whilst writing with the 3mm tipped passive stylus.